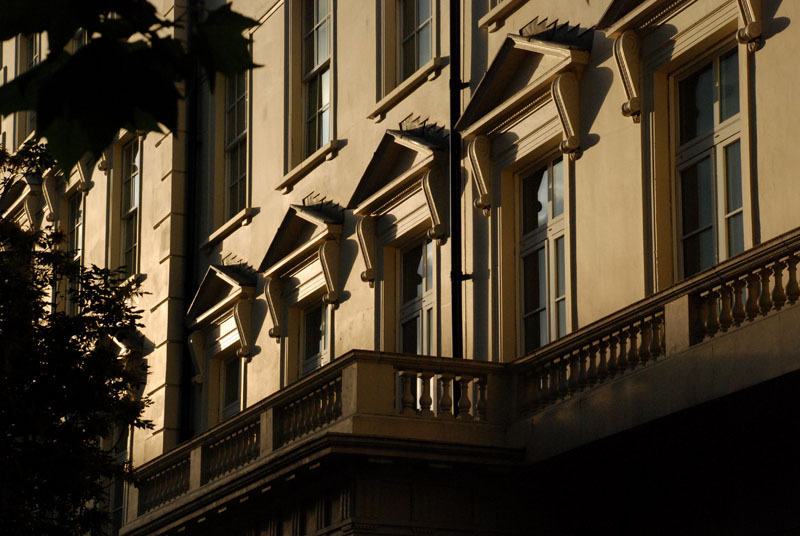 The setting sun highlights the Victorian architecture of the buildings surrounding Eccleston Square in London. Very well handled in that sharp light. Engaging crop, too.